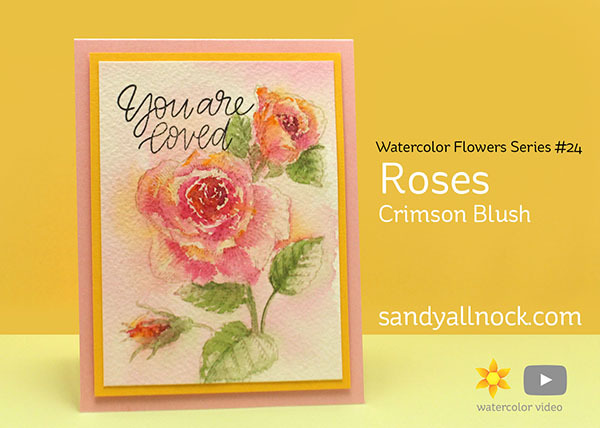 I haven’t added to my Watercolor Flowers Series in ages but with spring around the corner…maybe it’s time! 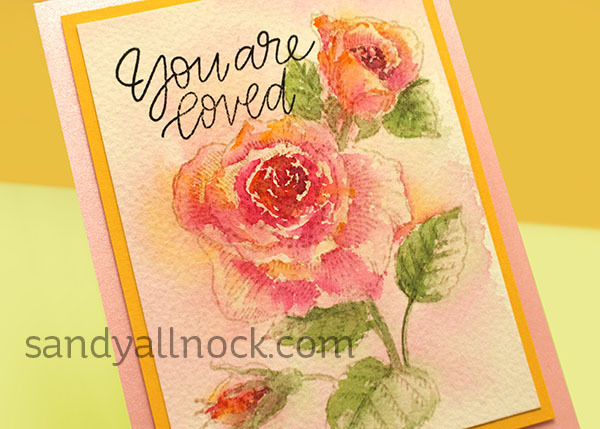 I bought these pretty roses from Penny Black and stamped them in a faded ink pad – and turned them into washy flowers. Enjoy! It takes some practice to get loose and washy, but it’s so worth the effort! your work is amazing!!! I’ve been following you for a long time & still can’t get enough of your work! thank you for your continued support thru sharing; much appreciated. Wow Sandy this is so awesome, thanks for this great informative video! Gorgeous. Looking forward to watching the video later on. So beautiful! Love the look of this image! So pretty! I do love how the rose bud turned out. wow I really enjoyed this video! I always learn something new from your videos, thank you so much! I cant wait to give this soft watercolor a go!! I love watching you do these “washy” roses, especially that moment when each one suddenly turns into a total 3-dimensionally real rose! Wowzers.